Vitamin a is a fat soluble vitamin that can be synthesized in the body from carotene and carotenoids. It is necessary for normal eyesight, beautiful complexion and skin, to stimulate the activity of the immune system. The approximate rate of vitamin A for men is 1,000 mg per day and for women 800 micrograms per day. Possible give preference to the use of vitamin And foods high in its content, and not take the pills. 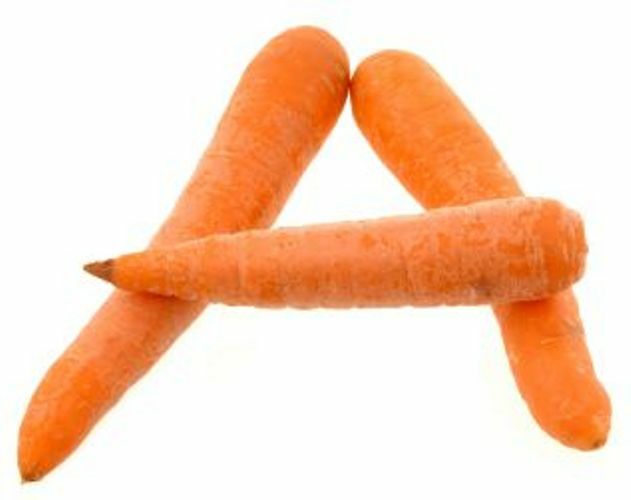 Vitamin A can be obtained in two different forms: through animal sources, butter, egg yolks and through foods of plant origin - the carrot contains beta-carotene, which the body converts into vitamin A. Take vitamin a in the formulations is only in the case of its acute shortage, which cannot eliminate by changing the diet. To do so, preferably under the supervision of a physician. If this is not possible, in any case can not exceed the dose it could be dangerous. The body will not be able to withdraw the excess and it will accumulate in the liver. Vitamin A in beef liver, butter, cod liver oil and egg yolks, when frozen these products, partially destroyed, so it is advisable to eat them fresh. If you do decide to take vitamin a in the form of a drug, it's better to do while eating. You can swallow capsule whole or mix contents with food. The drug in liquid form can be mixed with juice. For the shortfall of vitamin A, drink a couple of tablets once is not enough. The drug must be taken regularly, taking breaks for a few days. It should be noted that aspirin, laxatives and sleeping pills hinder the absorption of many vitamins, including vitamin A. If after long-term administration of vitamin you will find dizziness, severe abdominal pain, irritability, orange skin tone, and nausea — seek immediate medical advice. Vitamin And absorbed by the body more effectively if at the same time you are taking b vitamins, C, E and minerals: calcium, zinc, phosphorus, and magnesium. Alcohol even in the smallest quantities destroys the b vitamins, potassium, zinc and calcium. Almost completely destroyed the vitamin and under the influence of nicotine.